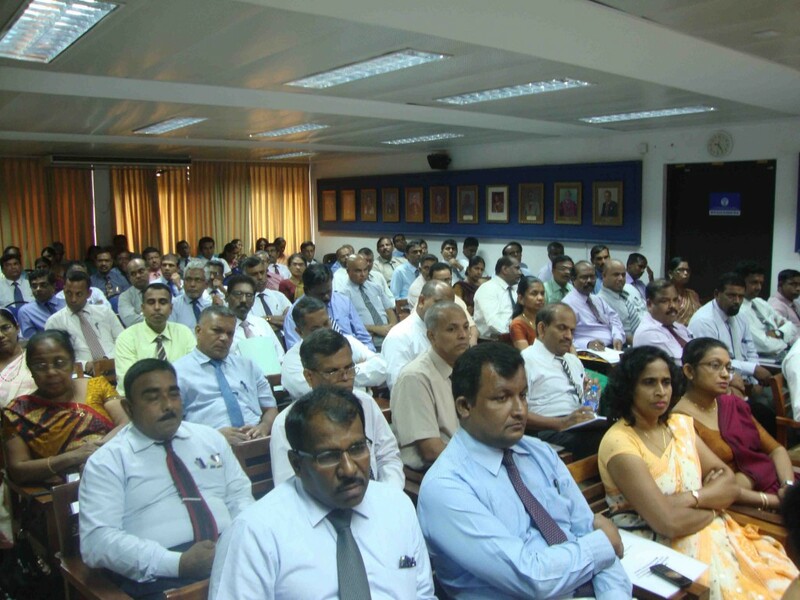 A seminar on “Improving Accountability and Transparency in Provincial Governance and Minimizing Audit Queries” was held on 30th April, 2016 at the Organization of Professional Associations of Sri Lanka (OPA). 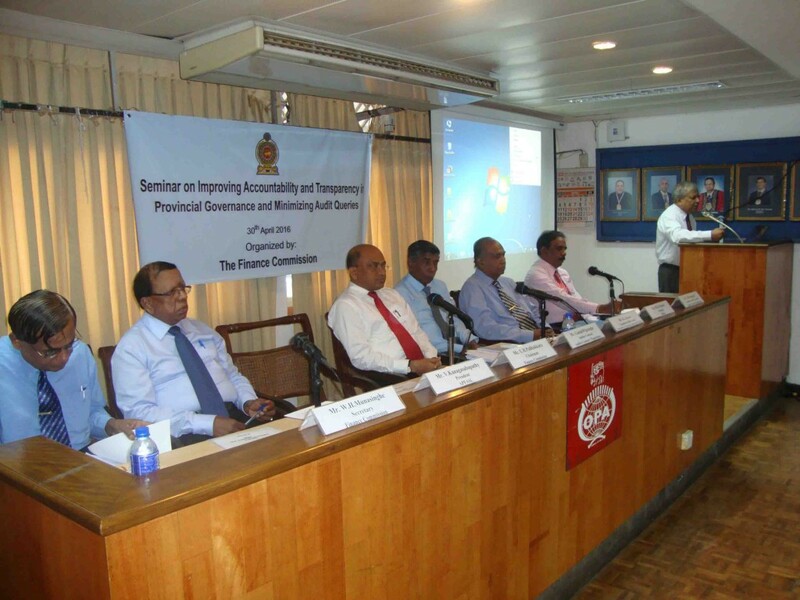 The Chief Secretaries and other relevant officers of the provinces participated in this seminar. 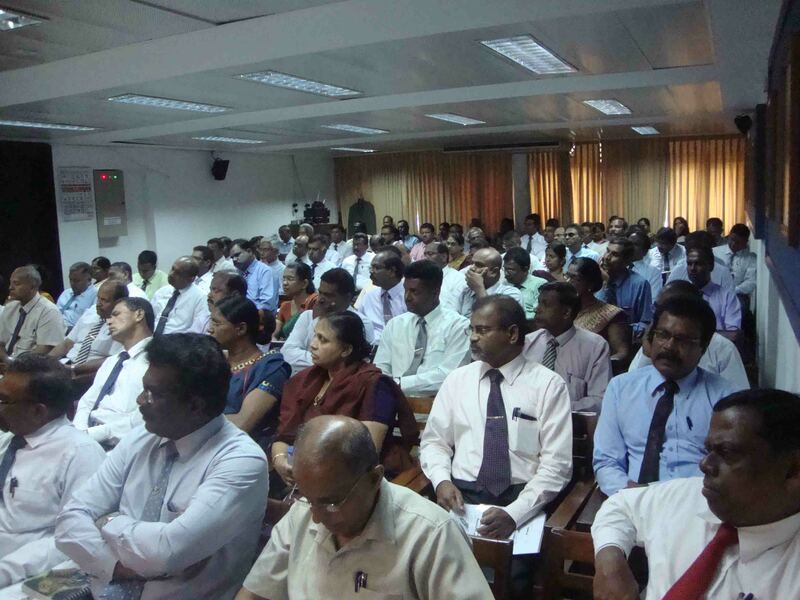 This seminar was organized by the Finance Commission. Promotion of sound financial management and financial accountability in the provinces through capacity building, financial reporting and financial management policies. Identifying issues of accountability and transparency in provincial financial management systems. Encouraging all provinces to adopt an effective risk management and internal control processes. Development and support of oversight structures / bodies. Better understanding of the government auditing system with a view to minimizing audit queries. 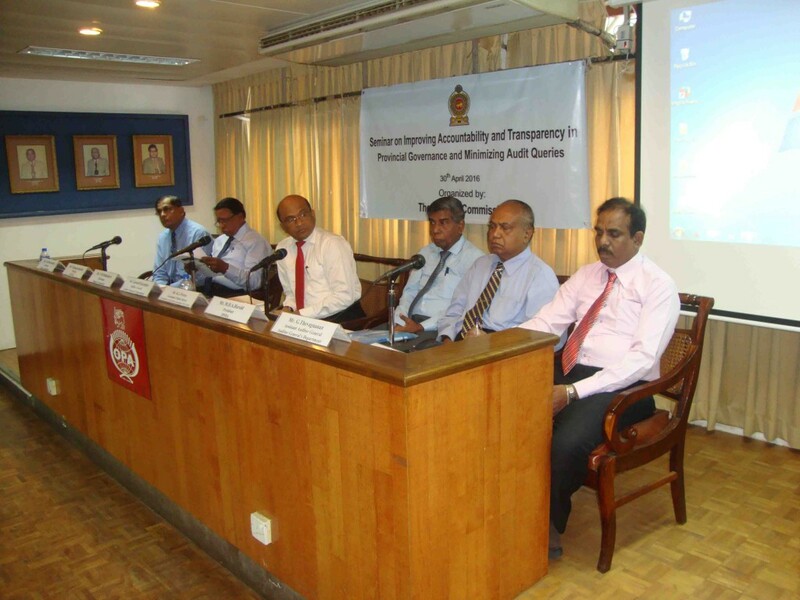 Mr. Gamini Wijesinghe, the Auditor General of Sri Lanka delivered the key note address. The following resource persons made presentations at this seminar. Finance Commission | No 48,Vajira Road, Colombo 4, Sri Lanka.